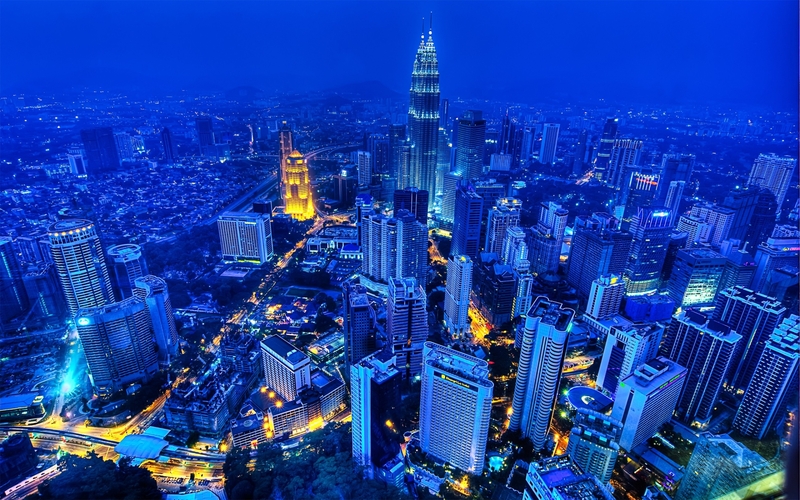 The dynamic Malaysian capital city is a revelation for most tourists. Popularly referred to as ‘KL’, bustling Kuala Lumpur is a vibrant metropolis whose cityscape features tall, glass-fronted skyscrapers standing alongside grand, old-world buildings that date back to the country’s colonial era. Often used as the main access point to Peninsular Malaysia, Kuala Lumpur warrants the spending a stop , for the city has much to offer for tourists of all ages. Discover the many facets of KL as you walk its vibrant streets as a part of a guided tour. Learn about the history and heritage of KL and become acquainted with its peoples, foods and traditions. KL offers countless shopping options at its many luxurious malls, bustling street markets and handicraft enclaves (The Kuala Lumpur Craft Complex). Most shopping surveys rate KL highly in terms of range of goods offered and affordability of prices charged. Moreover, the city hosts various annual shopping extravaganzas like the 1Malaysia GP Sale and the 1Malaysia Mega Sale Carnival which never fail to entice shoppers with their tantalizing discounts. KL is home to several interesting museums. The Islamic Arts Museum is perhaps one of the most exceptional museums in the city, and is thus considered a ‘must-do’ on any trip to KL. The museum is equipped with various themed galleries like Textiles, Architecture, Malay World, Jewelry, the Qu’ran, Arms and Amour, Metal Works and Ceramics. Displayed within these galleries is an extensive collection of Islamic art hailing from various eras and regions of the world. The Petrosains Science Discovery Center is a showcase for the Malaysian petroleum industry. The museum which is located on level 4 of Suria KLCC offers more than 150 exhibits designed to educate and entertain. Star attractions at the museum include the Dark Ride roller coaster ride, an attraction called Speed which stimulates Formula 1 racing and the Geotime Diorama which transports visitors to the age of dinosaurs and instructs them about the discovery of petroleum. The Kuala Lumpur Lake Gardens’ complex is the city’s main green lung which spans 91.6 verdant hectares. The complex has been built around an artificial lake and features the concept of a garden within a garden with its several individual gardens like the Orchid and Hibiscus Gardens, the Butterfly Park, the KL Bird Park, the Deer Park and more. End your day, of being out and about in KL, at the Skybar located on the 33rd floor of the city’s Trader’s Hotel. The bar, a covered space features a long shimmering pool and is equipped with a DJ who spins popular tunes all night long. The bar offers expertly mixed cocktails accompanied by tasty morsels and affords stunning views of the exciting city that lies beneath.